When Danger Unfolds, It Does Too. The Hissatsu™ Folder is a tactical knife with patented Outburst® spring assisted opening and automated liner safety, this knife is ready when the action heats up. The legendary Hissatsu™ series of knives designed by James Williams, of Encinitas, CA, have become the go to mission tools of Special Forces professionals worldwide. 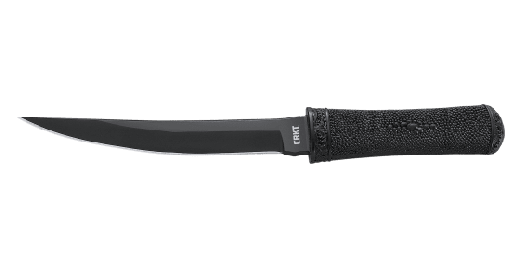 Designed for close quarter battle environs, this knife is equipped with automated liner safety, the locking liner innovation taken to the next level. Automated liner safety automatically sets a pin between the locking liner and the frame. This pin acts as an additional layer of safety, so the locking liner is less likely to disengage during use. To close the knife, pull the lever back, slide the locking liner over, and fold the blade into the closed position. Battle on. The Hissatsu™ Folder was designed by James Williams, of Encinitas, CA for times when a military special operations or security professional are in environments where they need to be discreet to ensure their own safety. Firing off loud firearms or carrying large blades while performing high-risk duties isn’t always an option. Now there is an alternative: the Hissatsu™ Folder. This tactical folding knife can be concealed in a pocket or clipped comfortably under a jacket, and later be deployed for a whole lot of defensive power. The blade shape is a classical Samurai clip point design that gives outstanding penetrating power as well as exceptional slashing performance. It features a premium AUS 8 stainless steel blade for optimal strength and edge-holding ability with good corrosion resistance. Meanwhile, a non-reflective black coating helps it keep a low profile during dark conditions. With a blade length of 3.875” it’s safely under the legal limit in most jurisdictions, but it goes way over on performance. Like you, the knife is ready to spring into mission mode with our patented Outburst® spring assisted opening mechanism. Then it locks automatically into the open position courtesy of our automated liner safety. This is the locking liner safety innovation taken to the next level. The automated liner safety sets a pin between the locking liner and the frame. This pin acts as an additional layer of safety, so the locking liner is less likely to disengage during use. To close the knife, pull the red buttoned safety lever back, slide the locking liner over, and fold the blade into the closed position. Want one of the most secure safety systems on the market? The choice is automatic. Something good to keep in mind when you have the bad guys breathing down your neck, face or wherever they’re a bit too close. To meet jurisdictional regulations, the Outburst® spring mechanism can be easily disabled with a single set screw. 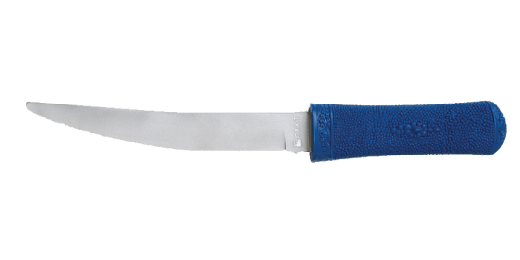 The handle has a few tricks up its heavy-duty sleeve too with a beefy InterFrame build with stainless steel liners that locks on one side and black glass-reinforced nylon scales that are textured to provide a secure grip. A thumb disk allows rapid opening with either hand, and the custom black stainless steel clip can be quickly and easily mounted right or left-handed with a single screw, yielding a knife that is truly ambidextrous. This is a tactical folder for the professional that’s overbuilt to last a lifetime. If only the same could be said for the enemies of freedom. You don’t want to mess with Sensei James Williams. Trust us. A former U.S. Army officer with more than 50 years of experience in the martial arts, he developed The System of Strategy. 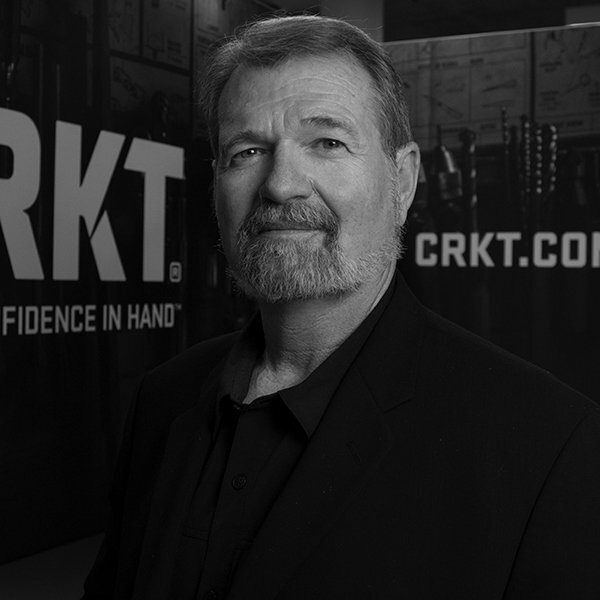 It’s a unique approach to unarmed combat that he teaches to Special Operations units and law enforcement worldwide. When he is armed, though, you’ll find him brandishing blades he’s created, like the Hisshou® and Hissatsu™ fixed blades, the Shizuka noh Ken™, and the now-legendary Hissatsu™ folder.